Grimwith Reservoir is situated high up on the moors between Grassington and Greenhow and was constructed between 1856 and 1864 by Bradford Corporation. 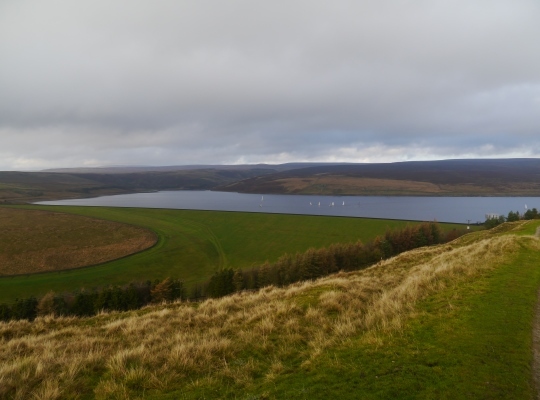 The reservoir was substantially increased in size in 1983 and now has the distinction of being the largest inland expanse of water in Yorkshire. The old road to the farms of Grimwith is now a grassy track and access to the reservoir, which includes a large car park, is via an access road just above Dibble’s Bridge. 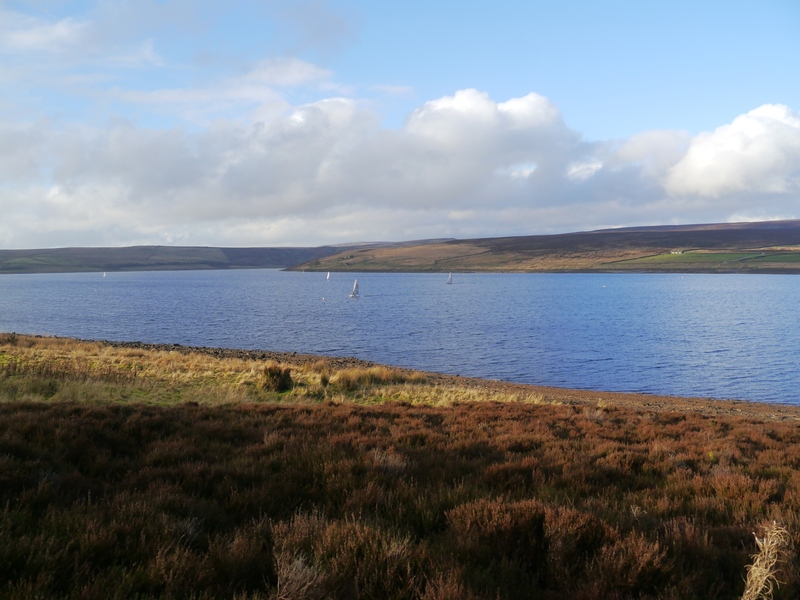 The reservoir is also home to the Yorkshire Dales Sailing Club who are based in a rather swanky looking £¾ million pound clubhouse. The original footpath around the reservoir was submerged when the reservoir was expanded and this was replaced by an excellent track that provides the option of an easy and enjoyable 4¼ mile circuit of the reservoir. A highlight of the walk, and one of my favourite buildings in the Yorkshire Dales, is the centuries old thatched barn of High Shaws Lathe. 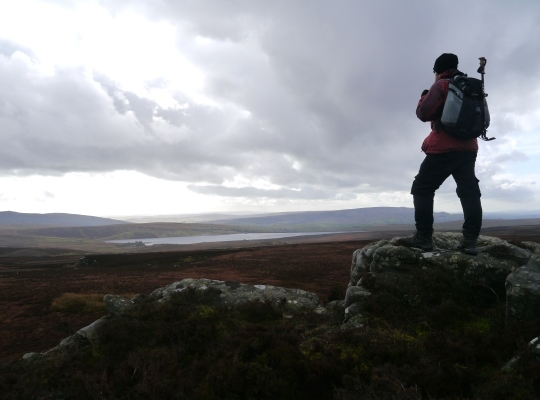 Whilst the path around the reservoir is definitely worth doing a longer and more exciting route options include linking Grimwith Reservoir with a visit to the limestone knoll of Nursery Knott and Trollers Gill. 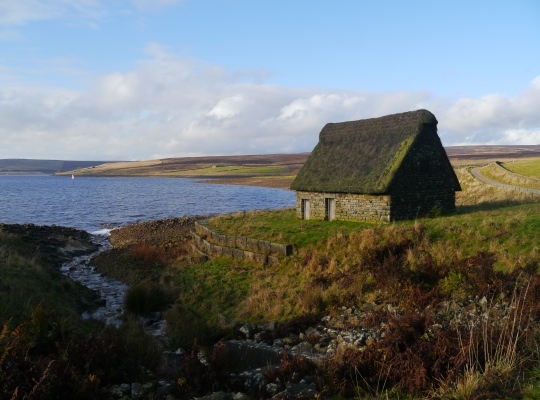 For the even more adventurous who are happy to stray from the beaten path Grimwith Reservoir is a great place to explore the vast moors to the north. At first glance this wide sweep of moorland looks to be featureless but this is not so and a walk up to the Wig Stones and Great Wolfrey Crag is particularly rewarding.